Lord Myners, the man recruited four months ago to help reform the troubled Co-operative Group, has quit amid increasing opposition to his plans to dramatically change the way the mutual is run. 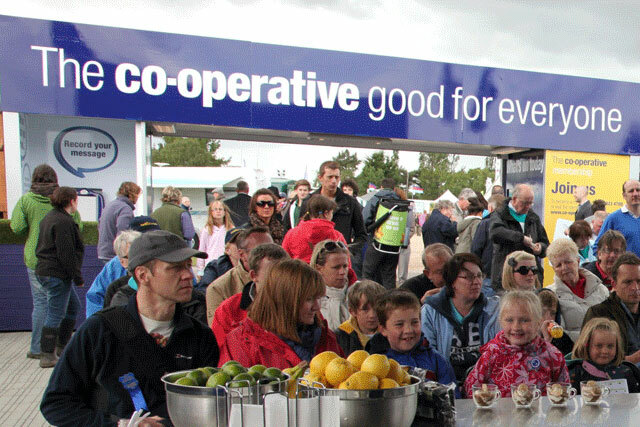 The news comes as the Co-op is expected to post losses of £2 billion. Myners resigned after members of the Co-op voted off Liz Moyle, Steven Bayes and Patrick Grange, the three directors who approved former chief executive Euan Sutherland's £3.6m pay packet. Sutherland, a former Coca-Cola, Currys and Matalan marketer, resigned last month with immediate effect, claiming he had found it "impossible" to reform the Co-op, calling the mutual "ungovernable". It followed the leaking of details of his pay packet to The Observer. His resignation came days before Myners released his initial review of the business, which claimed the Co-op's directors had overseen "breathtakingly value-destructive" decisions. Myners, who played a central role in the government's response to the banking crisis, took on the role of reforming the Co-op in December for only £1. But since then, he has faced overwhelming opposition to his reformation plans, which included replacing the mutual's current boardroom structure with a plc-style model. According to The Guardian, Myners has faced "bullying" tactics since joining the board, as well as warnings that his reform plans would be blocked.